Our residents and business owners recognize that abundant natural plant life is crucial to maintaining a healthy, beautiful, and balanced environment. 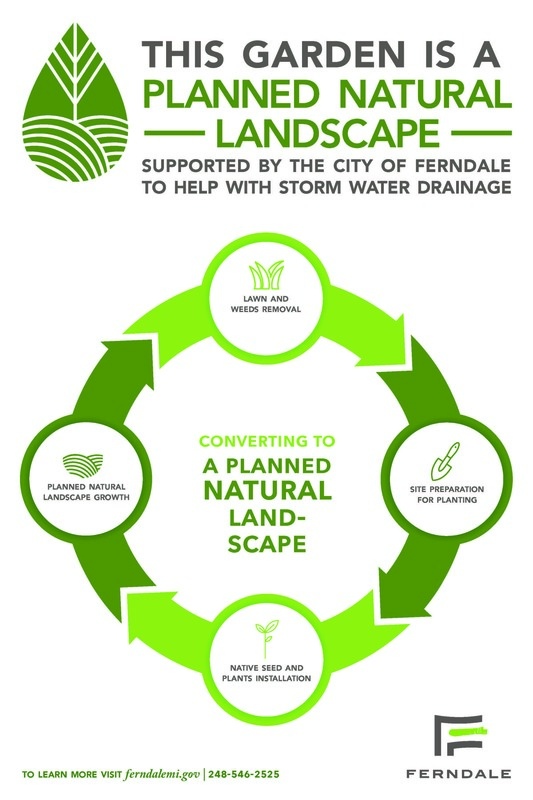 It is because of this that the City of Ferndale has embraced native natural landscaping. Councilmember Melanie Piana aided the Ferndale Environmental Sustainability Commission, comprised of resident volunteers, in urging the City to amend the noxious vegetation ordinance, and introduce the idea of Planned Natural Landscaping. Now, what is Planned Natural Landscaping? This form of landscaping is comprised of native vegetation found in Michigan. It provides habitat for our pollinators— butterflies, bees, and birds— while also helping reduce stormwater runoff. Planned natural landscapes can provide better water infiltration, helping to prevent it from entering our combined water system. During heavy rains, stormwater enters the City’s water system combining with the sanitary waste, resulting in combined sewer-water that can overflow downstream. This contaminates our waterways, affecting the health of the water system, residents, infrastructure, and natural habitats. 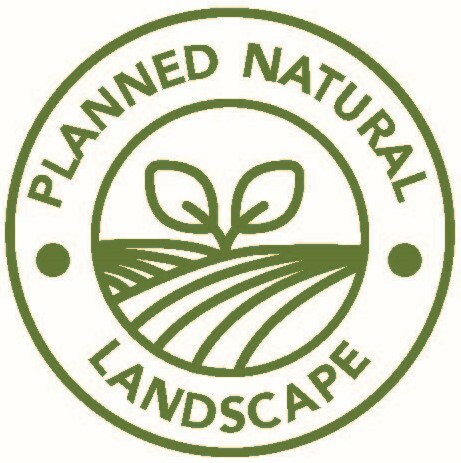 Interested in installing your own Planned Natural Landscape? Just register your property through this short online form or contact the City's Code Enforcement Department at 248-336-4117. Check out our FAQ section below for common questions about sustainable landscaping. New this year, the City has been working on creating yard signs for residents and businesses who elect to have a planned natural landscape. Check out the new design below. If you have registered a planned natural landscape in the past and are interested in a sign, contact the City's Environmental Sustainability Planner Erin Quetell at equetell@ferndalemi.gov or 248-336-4361. Below are a variety of helpful links when considering installing your planned natural landscape. Developed by the University of Michigan, this guide provides some alternatives to turf grass lawn. This EPA resource provides a host of information regarding planned natural landscape design. This resource offers a variety of green stormwater infrastructure designs and installations. A collaboration of five independently owned nurseries throughout Michigan that grow and sell over 400 species of Michigan native plants and seeds. Looking for a good plant list? Check out the link above. Michigan State University has a variety of resources. This link specifically encourages native plantings, and the ecosystem services associated with this type of landscaping, as well as a wonderful plant selection list. 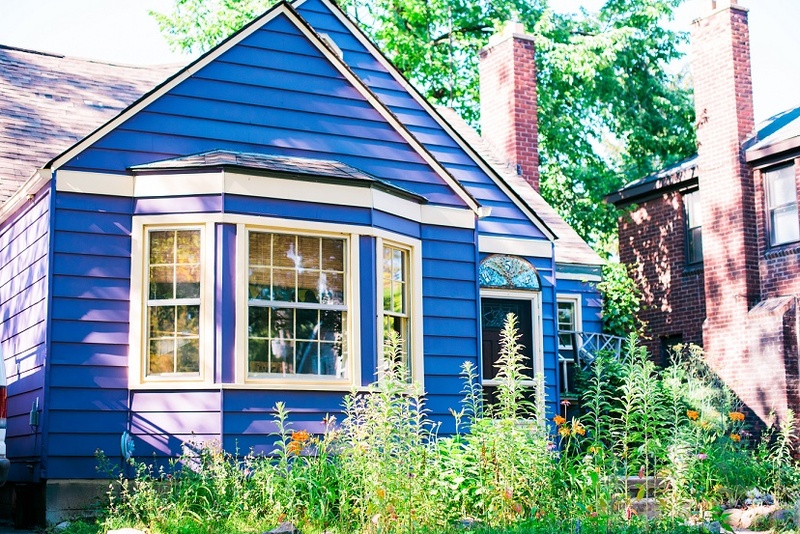 A partnership between I Love Great Lakes, the Sierra Club, and Friends of the Rouge, developed this guide to help Detroit residents install their own raingardens. This EPA WaterSense guide provides information on how to design your landscape that considers water conservation practices. What is native natural landscaping? Natural landscaping is the planned planting of native prairie, woodland, and wetland plants as an alternative to turf grass. It incorporates plant life native to our area, plants and flowers that existed here before turf grass lawns were introduced, that thrive with less traditional upkeep than is required of traditional lawns. There are many benefits to planned natural landscaping. Once established, native plants require little watering and upkeep and tend to resist insects. Homeowners can expect to save on costs associated with traditional lawns—watering, fertilizing, mowing, etc. Natural landscaping helps control soil erosion, which in turn reduces the cost of stormwater management. Lush native plant life also reduces air, noise, and water pollution, and provides a distinctive and beautiful appearance. It’s also important to note that native plants benefit and support local birds and wildlife. Natural landscaping creates ideal conditions for hummingbirds, honeybees, and butterflies—all of which are extremely beneficial to our ecosystem and are currently in decline nationwide. Does this mean my neighbors can let their lawns fill up with weeds? No. A weed is any type of plant in the wrong place, such as grass in a flower bed. Dandelions, crabgrass, and other common garden and lawn weeds are actually invasive plants. As has always been the case, the City will not permit random, untended yards or weed overgrowth. Residents who choose to incorporate planned natural landscaping to their yards are required to register with the City. There is no cost, and doing so will allow staff to educate people concerned about ordinance violations. I'm interested in incorporating native landscaping into my yard—how do I get started? If you decide that planned natural landscaping is right for you and your yard, start by registering your property with the City. There is no cost, and doing so helps staff to educate people concerned about ordinance violations. It’s important to do your research and consult a nursery or native landscaping expert before planting. You’ll want to make sure you’re choosing the right plants for your yard and conditions. The Michigan Native Plant Producers organization has a database of area landscapers and nurseries who can help you locate native plants. Won’t this type of landscaping attract rats? No. Rats require a food and water source, neither of which native grasses or flowers offer. They tend to be drawn to man-made structures, like sheds, woodpiles, and open-air compost. Keep all pet feed, scraps, compost, and garbage in tightly closed containers.